It’s all green, it’s all swift, and it’s all for the social good. The Robin Hood Tax campaign is a movement bringing together dozens of organisations that work to reduce poverty in the UK and overseas, and campaign to tackle climate change. They have come together during the economic crisis to campaign for a new deal between banks and society. Without the bows and arrows, daggers and what-nots. 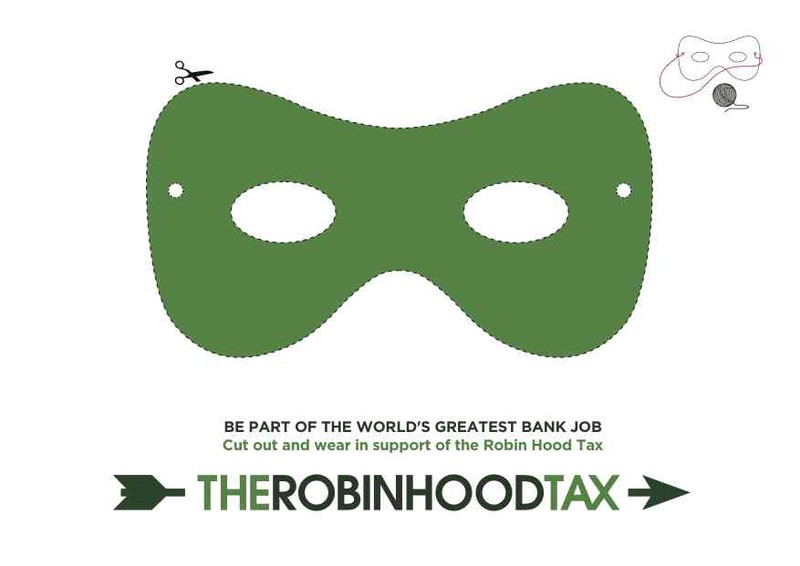 The Robin Hood Tax is a tiny tax on bankers that would raise billions to tackle poverty and climate change, at home and abroad. By taking an average of 0.05% from speculative banking transactions, hundreds of billions of pounds would be raised every year. That’s easily enough to stop cuts in crucial public services in the UK, and to help fight global poverty and climate change. Already, Gordon Brown (The British Prime Minister), Angela Merkel (the German Chancellor) and Nicolas Sarkozy (the French President) have all spoken out in support of a tax on financial transactions. Are you game to do something about it? By the way, the video on the RHT homepage is absolutely pure genius!